Why Is It Important to Keep Your Teeth Clean? We were told to brush our teeth twice daily since we were young, but do you ever wonder why? Clean teeth are not only important for our daily social life, it is also important for maintaining our general health. 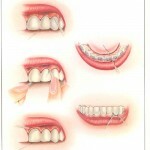 As we get older, our teeth also play an important part in our appearance. Whenever we smile or laugh, our pearly whites are the first thing that are seen by our companions. If we have dirty, yellow stained teeth, they are going to give other people an impression that we do not take care of our hygiene properly. In fact, many famous Hollywood stars and actors even went to the lengths of bleaching their teeth into an extreme shade of white, just to have a more perfect smile. Without teeth, our bone surrounding the teeth will also get resorbed faster. Often, toothless people will have a shortened lower facial height, resulting in a ‘collapsed’ look. When our bones are resorbed, our lips will also lose their support, which will also cause an unaesthetic appearance. Teeth are also important for chewing and helping in the digestion of our food. By chewing, the food gets broken down into smaller pieces with bigger surface area, this helps our gastric juice digest them. 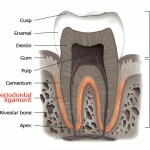 If our teeth are dirty, which means they are covered with plaque and calculus, this will induce gingival inflammation. This in turn, will lead to periodontal disease, and cause our teeth to become loose. When our teeth are loose, we will lose our ability to chew properly, especially fibrous food like fruits and also some food that are rich in protein, like chicken. In a long run, our body will not be able to get proper nutrition, and this in turn, will lead to other diseases. The periodontal ligament that detects proprioceptive sensations. Our teeth also enhance the pleasures of eating through proprioceptive receptors and temperature receptors. 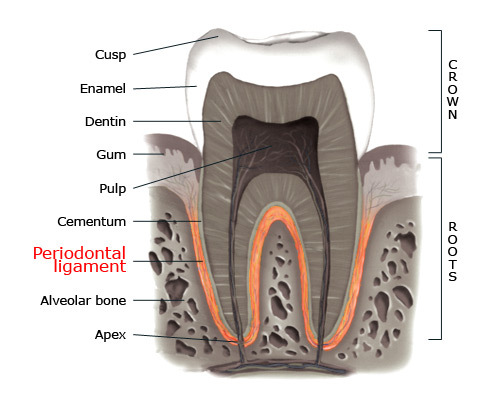 Our teeth are innervated by nerves and they have sense pressure through a special ligament, known as periodontal ligament. Whenever we are eating hot or cold food, we can sense their temperature through our teeth as well as other tissues in our mouth. Getting our teeth replaced by dentures will decrease the teeth’s sensitivity towards all these senses, because dentures are made out of acrylic and they act as insulators, covering other tissues in our mouth. Therefore, we have to take good care of our teeth to prevent losing them. Teeth are also important for speech, especially words containing alphabets like ‘t’, ‘d’, ‘f’, and ‘v’. Have you ever noticed how people like your grandma or other people who are toothless find those words hard to pronounce? Clean or dirty teeth will not actually alter the pronunciation of those words, however, if our teeth are not kept clean, it will lead to gum diseases and loosening of the teeth. Because our mouth harbors the most bacteria among all the other body parts, it is important to always keep it clean. There is an ancient Chinese proverb saying that ‘all illness starts from the mouth’ , which is partially true if u stop to think about it. This is particularly true for patients who have heart diseases. This is because our mouth contains a particular bacteria that will lead to infective endocarditis (IE). If our mouth is not clean, gingivitis will occur, and gingivitis cause frequent bleeding from the gums. This bacteria will enter our blood stream from the mouth’s saliva. While in healthy, normal individuals, our body is able to fight this bacteria’s presence in the blood stream, however for patients with heart diseases, there is a chance this transient change will lead to IE. That is why dentists often have to be more careful with patients with heart diseases and give prophylactic antibiotics before certain intrusive procedures. There are various ways of keeping our teeth cleaning, mainly with teeth brushing by using the proper technique. Teeth cleaning can also be reinforced with flossing, using mouthwashes, and maintaining a healthy diet. Choosing the right toothbrush is also vital to keeping our teeth clean. Preferably the head of the toothbrush should be small so that it can reach the back teeth in the mouth, as the space is limited there and a toothbrush with a big head will not be able to reach there to clean the teeth sufficiently. The bristles should also be soft enough to not hurt the gums while brushing. Remember, we only have two sets of teeth in our lifetime. 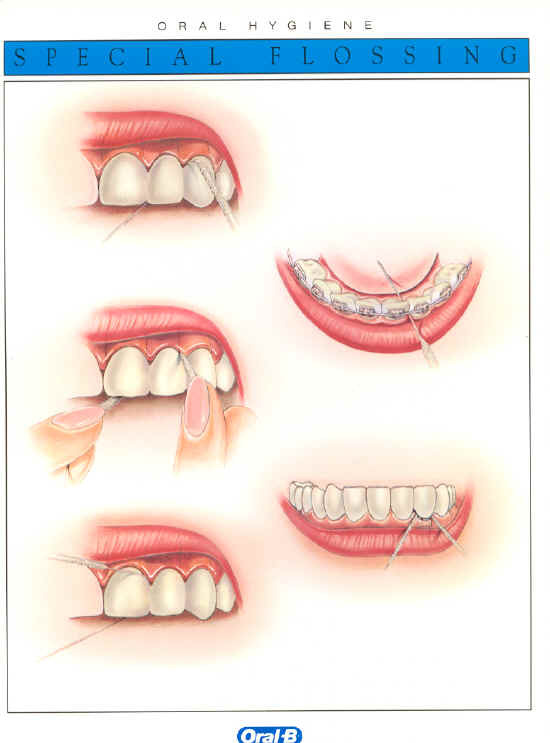 If you do not take good care of your permanent teeth and lose them, there is no third chance. This entry was posted in Oral Care and tagged appearance, bacteria, brushing, digestion, flossing, infective endocarditis, proprioceptive receptors, resorbed bone, speech on March 29, 2011 by chzechze.